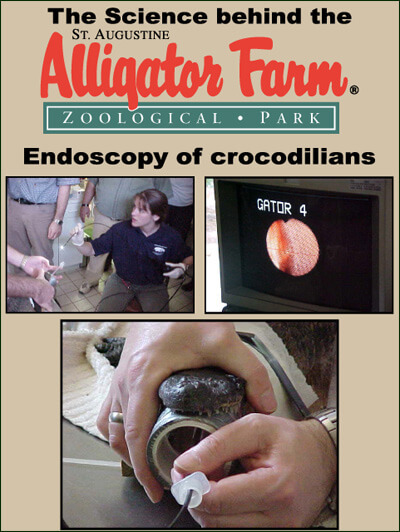 By using an endoscope (a small camera that can be inserted in the body cavity), Dr. Maud Lafortune of the University of Florida’s Veterinary Medical Teaching Hospital, was able to evaluate the respiratory tract of alligators. The camera was slowly inserted down the trachea of the alligator and into the lungs. There is a tiny light at the end of the tiny camera and during the procedure everything can be seen on a nearby television monitor.